It's easy to miss something but hard to get it back, Besides money is not the only thing that we miss accidentally by placing it somewhere, sometime it could be the data on the hard disk too. In our previous article, we explained to you how to delete data's permanently from your hard disk without the possibility to recover/retrieve it back to the actual form. But what if you have accidentally deleted your data are on disk. 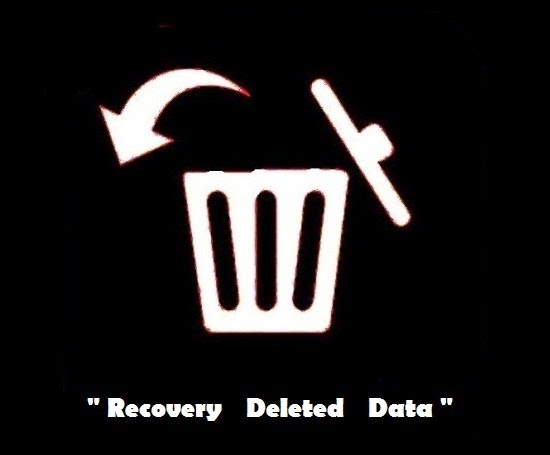 Usually if a data is deleted, it will be sent to recycle bin from where we can restore it back to the original format at the same location, but what if you emptied the data also on recycle bin (or) removed the data by pressing (Shift + Delete) key combination which removes the data from the location without being stored on any other 2nd level of storage like recycle bin. How to Recover Deleted Data From Hard Disk and Flash Drives? If there is a tool, device, or any other protocol to terminate a data completely from Hard disk and USB flash drive, then its obvious that there must a tool to recover and restore the deleted data on disk. Recovery Tips: Always have back up of important document files and digital media files on one or more reputed storage system such as Skydrive, Dropbox, Onedrive, Google Drive etc. Here in this article, we list some of the best authorized and effective recovery tools to recover your deleted files of different data types/format from hard disk and flash drives. Recuva is a small utility program to recover deleted data for windows by Piriform, despite its small in size but can actually recover any file that deleted days/months ago which was marked by the windows operating systems as free space(i.e. deleted and emptied the space which let new files to be allocated). If the deleted data has been overwritten with an existing or new data with the same name than its impossible to salvage/recover the deleted data. Recuva utility software is available to download for both portable and compact version. Click here to download portable versions of "Recuva" for windows. Recover files deleted from Removable Media such as USB flash drives, Memory cards, or MP3 players. Recover deleted email's from a desktop program like Outlook Express, Windows Live Mail, or Mozilla Thunderbird. 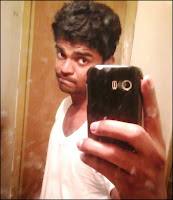 The program works on both FAT and NTFS file systems of Windows. Can also be used to deleted Hard disk, flash drives data permanently by overwriting. 2. How to Recover Deleted Data from MAC OS X Using "File Salvage" ? 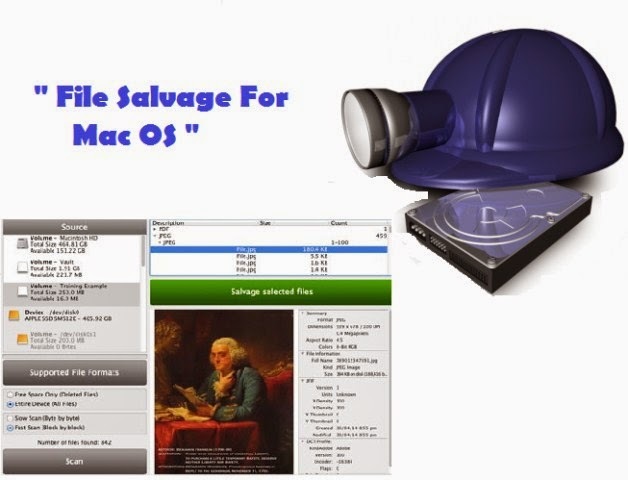 This product (file salvage) is a very fast data recovery tool exclusively for Mac OS X developed and produced by SubRosaSoft.com and works on a comprehensive list of file systems. File salvage can recover and restore files that are accidentally deleted, corrupted media files, and from formatted hard disk drives. Recover Deleted Files mode - This mode has an option to extract either all deleted data/file formats (or) only specific file formats from a volume and stores the recovered data on a different volume on the disk. Salvage All Files mode - It recover's all the deleted data from one volume and stores the recovered data into some other volume/partition to avoid overwriting of files, which could cause permanent data deletion. Explore A Drive mode - It scan's the drive deeply for deleted files on free space by byte or block-by-block searching. Downloads: Visit this link to "Download File Salvage for MAC OS "
Supported file system types are HFS, HFSX, and HFS+ as well as FAT12/16/32,NTFS/NTFS5, ext2fs and other file system types. Can also recover deleted data from removable media's such as USB flash drives, External Hard disk, CD-ROM etc. Can recover data from corrupted and damaged files. 3. How to Recover Deleted Partition/Table Using "TestDisk"(Photorec)? Recover tools mentioned above recover deleted files only with the reference to file on free space (or) at least search for deleted files within the volume/partition, Whereas "TestDisk" software can even recover deleted partition which is marked as free space to create new volumes. When a partition is deleted the data contained in the partition is also deleted, by default there is no interface to undo the deleted partition. Corrupted partition table due to power failure or accidental partition deletion during Operating system installation can cause permanent data deletion on that volume, but the test disk will let the user recover the deleted partition which in turn lets you recover any data deleted in that partition. Downloads: Visit this link to download "TestDisk" for your Operating System. Unlike other recovery tools, TestDisk is a utility program that doesn't require to be installed on the computer programs, it executes an interface which replicates the command prompt window. Download "TestDisk" and extract the zipped files. Open the extracted folder and click application file. Set search below and click enter to start search recovery. 4. How to Recover Damaged CD/DVD Files Using "CD Roller"? CDRoller is a powerful utility for CD and DVD to recover data that got stuck within it due to failure or interruption at finalization time. Do you have a damaged media file that is unable to play? CD roller will recover each VOB files and integrate the damaged pieces to resurrect the damaged file and convert it to the actual form. Note: This is a premium program available in the different language and comes with the zipped and exe file format for security policies, however, trial version's are available to download with a time lapse of 14 days to expire. Downloads: Visit this link to download CDroller for your language and format. Can also use to recover deleted and corrupted/damaged data's from USB flash drives such as Memory Stick, SD card, and other flash memory drives. Recover damaged and corrupted VOB(video objects) files in CD/DVD, due to non-finalized disc (or) interrupt. These tools work the best to recover your damaged and deleted files from hard disk/flash drives/CD/DVD. Warning: Always store the recovered data in some other volume/partition other than the recovered volume. Storing the data in the same recovered volume will overwrite the data space, thereby the data's will never be recovered for future purposes.